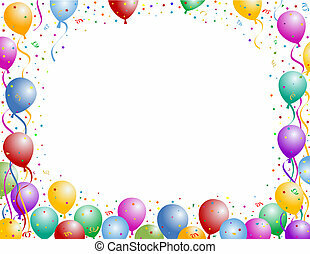 Balloons border. 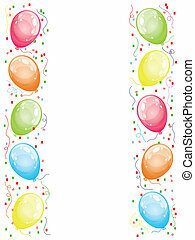 Vector illustration of the border of multicolored balloons and confetti. 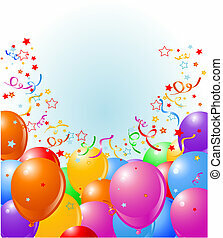 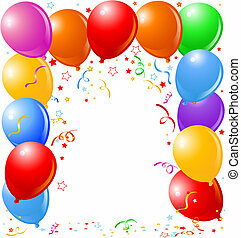 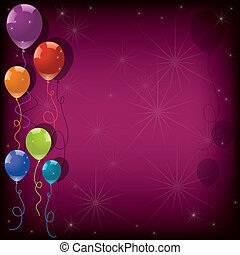 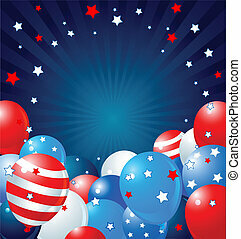 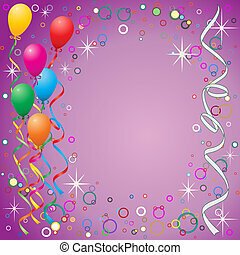 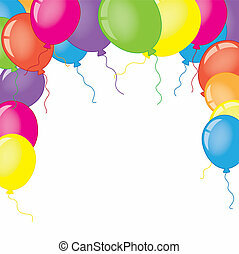 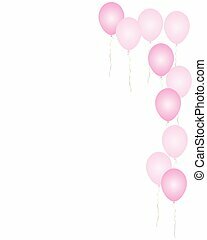 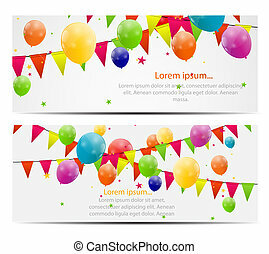 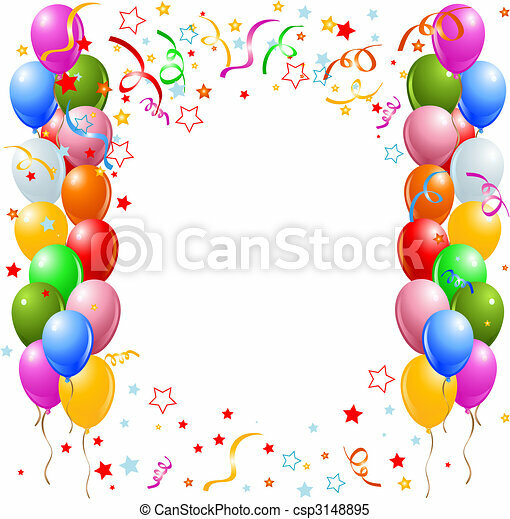 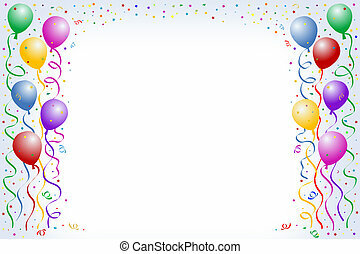 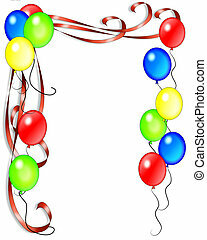 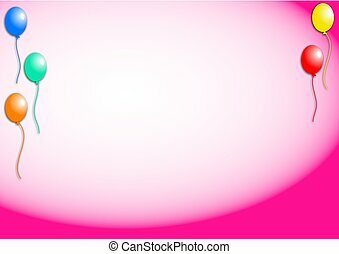 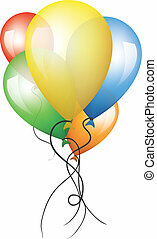 Party balloons background border design. 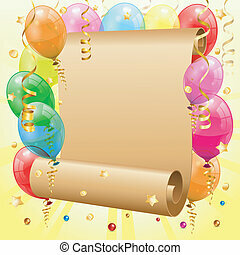 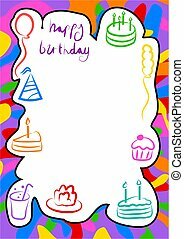 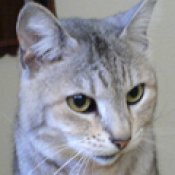 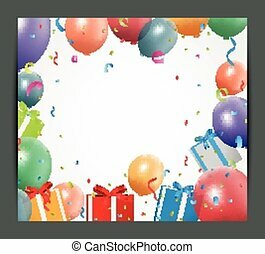 Use for creating birthday cards and party invitations etc. 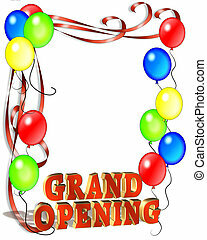 Illustration composition for Grand Opening Celebration template, poster or announcement with copy space and 3D text.